I absolutely adore cute little bits of jewellery, when it comes to getting dressed up my cupboard is filled with statement necklaces and sparkly earrings. When it comes to everyday, I really don't have much. Nothing small enough to wear without getting noticed anyways. Today, I am sharing with you my the newest everyday essential from Finders Keepers! 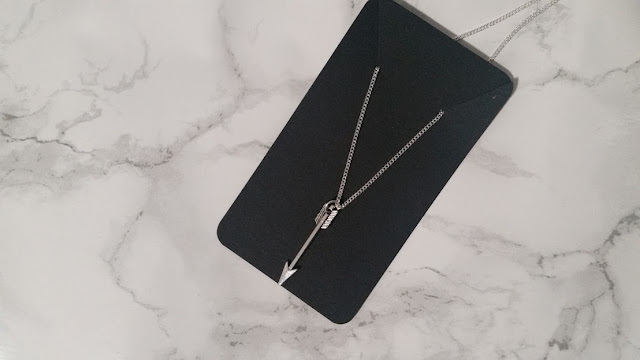 Finders Keepers Jewels is a very new business and when I received this adorable Arrow Necklace* in the post, I fell in love instantly. This very small, dainty piece is perfect to wear with everything due to it been silver and the arrow head is small enough that it doesn't power over everything that you wear. I also love that the chain isn't super long, it sits just at the top of my tops and quite nicely too. Its amazing that such a simple shape looks this gorgeous and its not just me that loves it! So many people have said to me that they adore the prettiness of it. 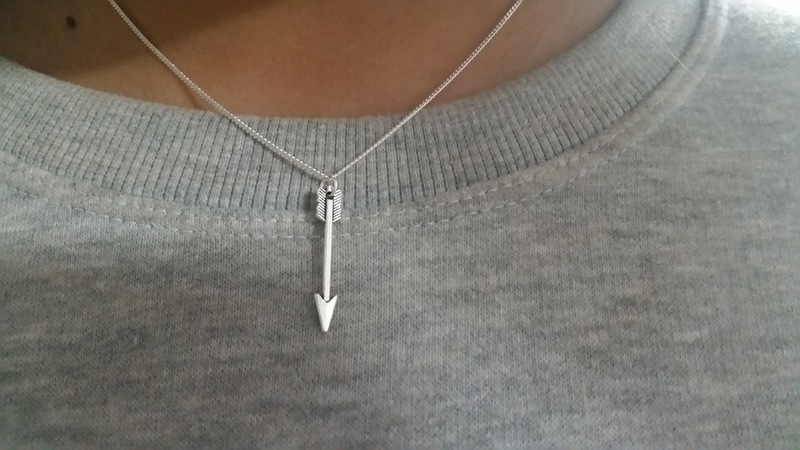 I've been wearing this necklace non-stop since it arrived, sometimes forgetting that I have it on! FK Jewels have some gorgeous pieces and all things are very reasonably priced. This for example costs £10 as does their moon and leaf necklace, which I have my eye on! 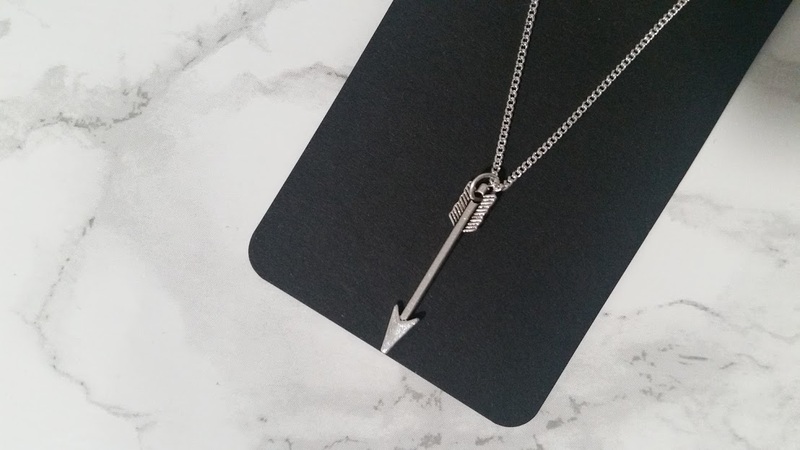 Be sure to check out Finders Keepers Jewels!